One of the best Japanese Grand Tourer based on the Nissan Skyline range offered by Nissan Motors, as the picture is a third generation Nissan Skyline commonly known as the R32 released in 1990 its a GTR series come with some modified and upgrade, looking for good owner. The pics as confirm, the exterior looks good and solid shape, no dent, no rust issue. The interior looks okay, the engine looks good come with a Nismo treatment and hope has good maintenance also. As always if you want to buy come to see is a must. 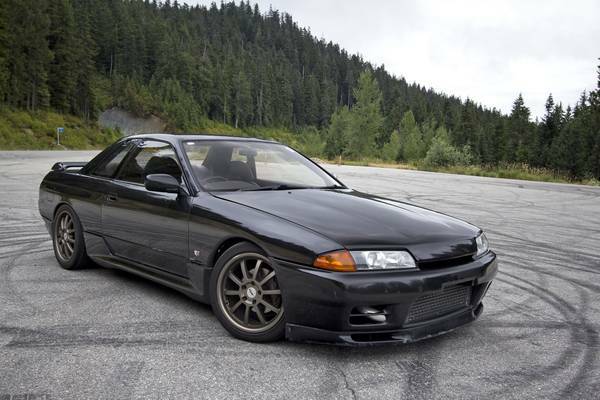 Overall it's a pretty good vehicle for 25 years old used car and still able running fast also as long as no hidden issue, 1990 Nissan Skyline R32 GTR ready to go for $28000 location in Vancouver B.C. 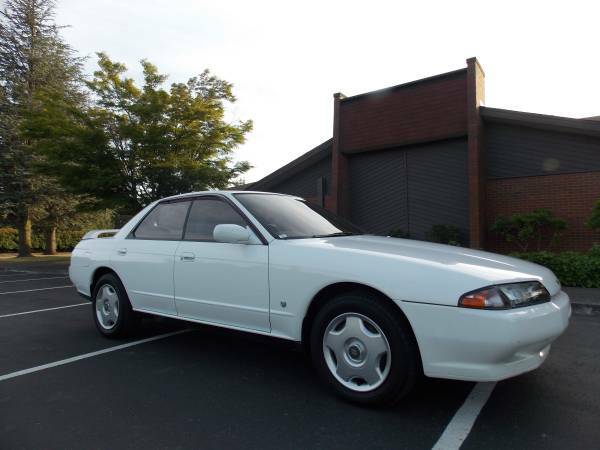 This one of the best sport cars offered by Japan automaker Nissan Motors, is two-door sports coupe as a R32 Nissan Skyline GTS-T was released in 1991 still on good condition. As the pictures is a Type-M variant so it has 2.0 L RB20DET turbo I6 engine its able to produce 212 hp, asking $9,000.00 location in Canada. The pics as confirm, all looks nice and good no rust mentioned, no interior pics so I left it to you. The engine looks clean and well maintained no miles mentioned, mated with 5 speed manual transmission. If you looking the fast car with reasonable price... yes this is right car, I agree... how the actual conditions please see itself, is good for you. 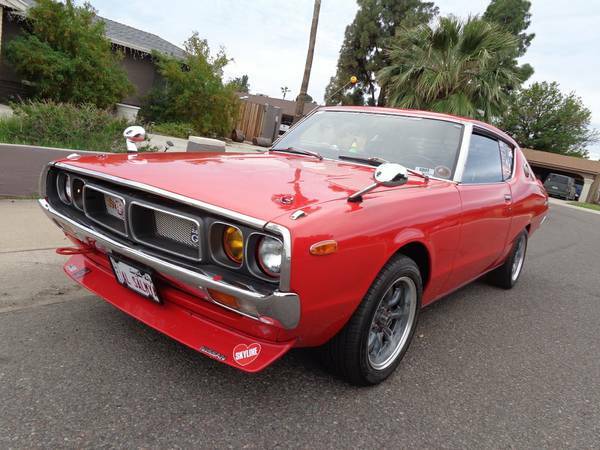 This Japanese classic car it truly JDM car made by Nissan Motors, as the picture is a late of first generation Skyline known as the C10 series released in 1972 come in 4-door sedan body style, excellent condition with original low miles on it. Officially the C10 series was never been exported to the United States so it a really rare car. But his already in Alaska since 2012, shipped directly from Yokohama Japan. The pics as confirm, the exterior looks so coolest, nothing see horrible rust, straight shape, nice chrome and all still with complete trim as the original. The interior looks equally good, so neat. The engine looks so healthy and clean has been upgraded and tuned as its seller said, if you interested come to see is good for yours. Overall I think it a cool old JDM car with some trivial issue can be resolved quickly. 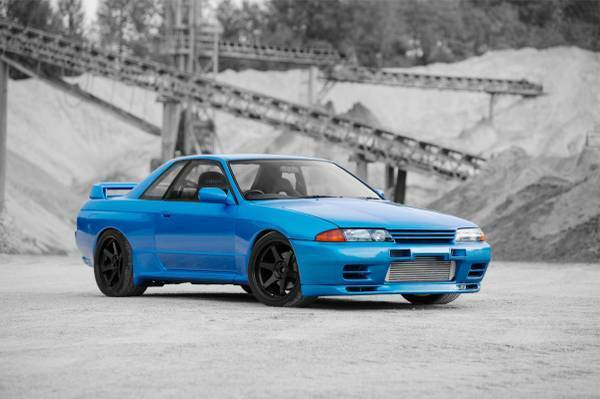 This eighth generation of the Nissan Skyline commonly known as the R32. 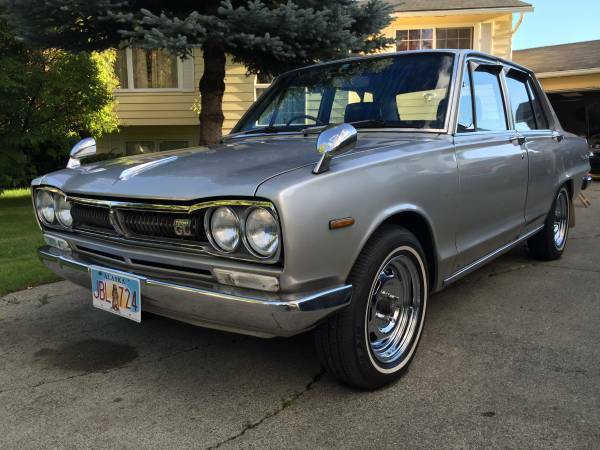 As the picture is a performance variant of the Skyline called Skyline GTS come in 4-door sedan was released in 1990 still on original factory condition import from Japan very unique JDM sport sedan in U.S. looking a new home.